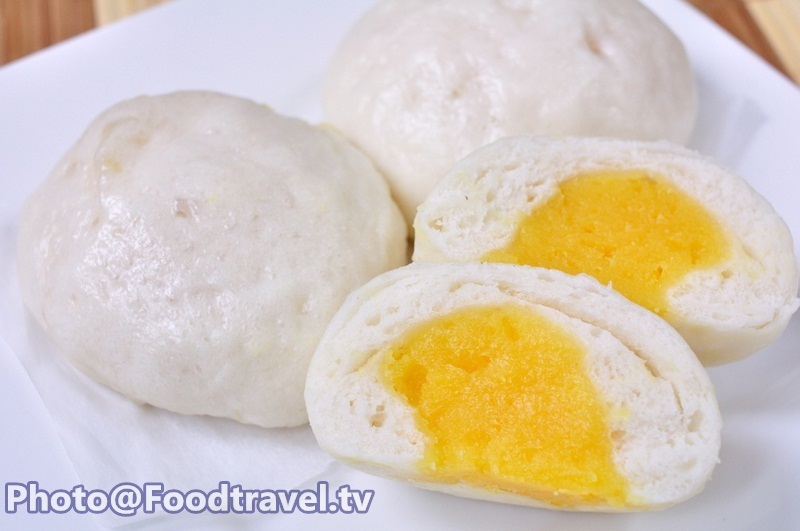 Custard Cream Buns (Sa La Pao Sai Cream) - One of the buns that is a must when you go to Chinese restaurant. It’s a favorite dim sum order. 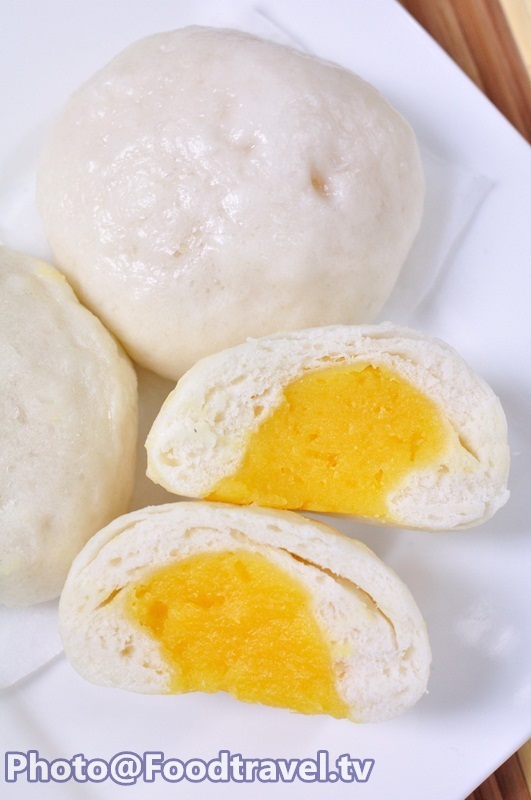 With smooth creamy custard buns, sweet, soft and fluffy. Eat when just steaming hot is so delicious. This menu is perfect for both children and adults. 7. Custard Powder / milk powder 1/4 Tsp. 1. Mix the flour, yeast, sugar, salt well together in a mixing bowl. Gradually add water and knead into smooth ball (10-15 minutes) Put in a bowl and warp it. Set aside 30-40 minutes. 2. 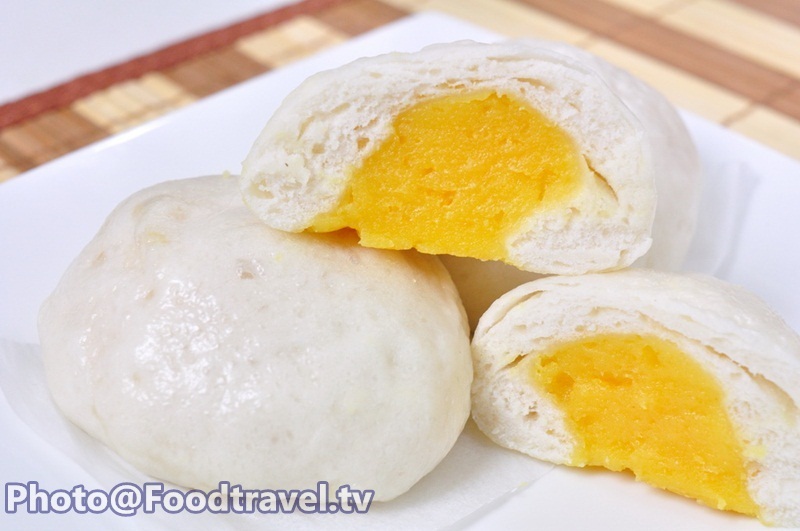 Custard filling - Put egg, sugar (divide half) and custard/ milk powdered, cornstarch and beat all ingredients well together. When it thicker, pour into the pot, add milk, sugar (the remaining part) and salt. Boil over medium heat and keep stirring. Wait until boiling. Spoon 1 ladle up into the egg for They adjust the temperature of eggs. and then pour back into the pot. Keep stirring over low heat until thicker. Turn off the heat and leave it cool and stiff. 3. Divide the dough equally into a ball 12-16 pieces. Spread the dough, then put filling and wrapped into a ball. Place on the paper, arrange on a tray and set aside another 10-15 minutes more. Then put in a steamer with boiling water and steam for 15 minutes. 2. 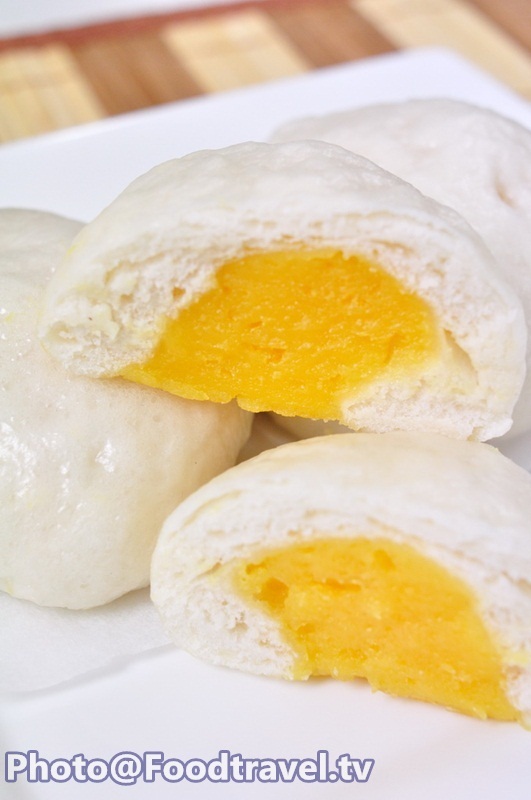 Custard filling - Put egg, sugar (divide half) and custard/ milk powdered, cornstarch and beat all ingredients well together. When it thicker, pour into the pot, add milk, sugar (the remaining part) and salt. Boil over medium heat and keep stirring. Wait until boiling. Spoon 1 ladle up into the egg for They adjust the temperature of eggs.and then pour back into the pot. Keep stirring over low heat until thicker. Turn off the heat and leave it cool and stiff.